By admin , in Crohns Disease on January 18, 2019 . 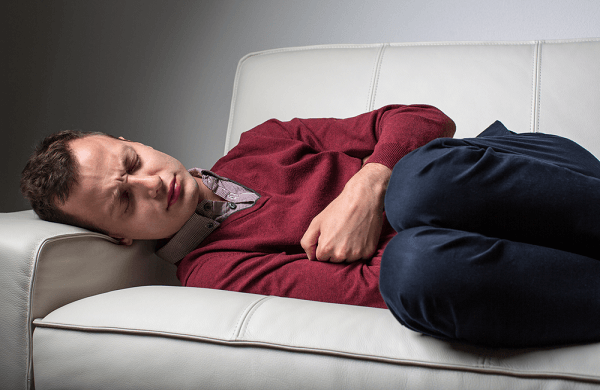 1.1 What causes Crohn’s disease? It is an inflammatory disease of the intestines and causes breaks in the lining of the large and small intestines. The digestive system can affect from this disease. It is also known as colitis, ileitis, regional enteritis, terminal ileitis or granulomatous enteritis. Men and women both are equally affected by this. 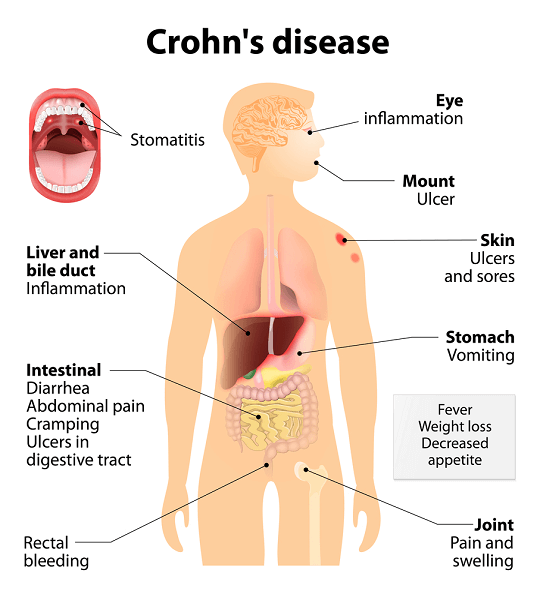 In the United States, about 500,000 to 2 millions people are affected by Crohn’s disease. There is no exact cause of Crohn’s disease. According to some researchers and scientists, it may cause by infection of certain bacteria, like strains of mycobacterium. This is not spread from one person to another person. In some cases, diet is also developed the disease. Heredity: People, who are suffered from Crohns disease, have a child, sibling or parents who also have the same disease. Immune system: According to evidence suggestion that a bacterium or virus can cause the disease and when the body’s immune system fight off the microorganism, then the digestive tract becomes inflamed. Sometimes, inflammation may develop by the bacterium or virus itself. Mycobacterium avium subspecies paratuberculosis may be developed Crohn’s disease. This bacterium have found in the intestinal tissue and blood of most people with Crohn’s disease. Environment: Environmental factors such as a high diet in refined foods or fatty may be involved in the development of Crohn’s disease. This disease is mainly found among people living in industrialized nations and cities. Ethnicity: White people are at the high risk of Crohn’s disease. It can also find in person of European descent and Jewish. Age: It can strike at any age, but mostly found in young adults. People between the ages of 15 and 35 are affected by Crohn’s disease. Family history: If someone has a close relative, such as sibling, parents or child, with Crohn’s disease at high risk getting the disease. Other risk factors: It can also associate with other factors such as smoking. The disease is developed by taking oral contraceptives in case of some women. Blood tests may be performed by the doctor to examine for anemia or other signs of infection. In this procedure a flexible, lighted, slender tube is used by the doctor to examine the sigmoid. This procedure can miss problems in the small intestine or in the colon and take just few minutes. X-ray of the small intestine may help to diagnose Crohn’s disease. This test is very helpful for check the part of the small bowel, which is not seen by colonoscopy. A thin, lighted, flexible tube with an attached camera is used by the doctor for diagnosing Crohn’s disease. A biopsy is also performed during this procedure. This is very sensitive test and risks of this include perforation of the bleeding the colon wall. Mesalazine: This is also called by 5-aminosalicyclic acid, Pentasa, Mesalamine and Asacol. Sulfasalazine: It is also called by Azulfidine. This medicine is a traditional class of antibiotics. It has some side effects such as vomiting, headache, nausea and heartburn. In some cases, surgery is required to treat the disease. It is very expensive and effective treatment.